The path to a long and healthy life for your dog is filled with potholes and minor obstacles, but good preparation and knowledge can help you navigate safely all the way from beginning to end. Health supplements are not only for humans, but dogs need added nutrients too, and one thing they can never have too much of are probiotics. 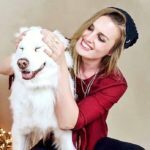 There are a few things that you want to be aware of before you start your dog on probiotic supplements or food with a higher probiotic content, but one thing is for sure – your pup will thank you, in his or her own way. Probiotics help boost the immune system, aids with digestion and keeps your fur baby at excellent health, and it is something the canine body needs to function properly. Probiotics can be introduced right away after you bring your new dog home, and it is true what they say – the sooner the better! We all know what is best for our dogs, and we almost always wish that our furry friends could live longer than the few years they are given. Therefore, it is important to care for them correctly already from the start – a healthy and well cared for dog live longer. By adding probiotics to your new pup’s diet right away, you start the process of giving them the life and care they deserve. A quality dog food with probiotics can be introduced right away regardless of your dog’s age, but if you have brought home a puppy, then you might want to hold off on adding any supplements until you have consulted a veterinarian. If the dog you have invited into your home is already an adult – don’t worry, it is not too late to start providing additional probiotics with his or her daily food intake. It is not unusual for dogs to display stomach upset, diarrhea and other tummy problems in the beginning after increasing the probiotic intake. This is due to the probiotics starting to clean out the digestive system from blockage and possible build-up, which can cause temporary stomach discomfort. This, however, is usually not a cause for concern, but rather a sign that the probiotics are doing their job inside your pup’s body. After a few weeks, you may start noticing firmer stool, a better appetite, less noise coming from your dog’s stomach and fewer episodes of diarrhea, which are all indicators of your dog’s new health supplements working as they should. 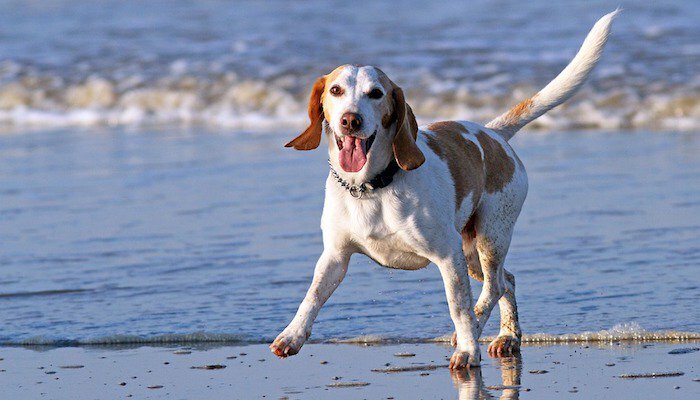 Probiotics are known to work miracles with the immune system, and since the immune system controls most of what happens in the body – it is also a key feature for a healthy and happy pooch. When providing your fur buddy with probiotics, you have two main choices to make. You can either feed them food that naturally contains probiotics; such as yogurt (make sure it is a quality brand without added sugar), mushrooms, cabbage, broccoli, dandelion leaves, blueberries and more, or you can opt for a nutritional probiotic supplement. Supplements are available as tasty chew treats, pills, powders, liquids, capsules and similar so that you can choose what would work best for you and your dog. Live bacteria are sensitive to several things; such as heat, cold, oxygen and similar, and it may be a good idea to store probiotic supplements in the fridge. This is not always necessary, as the way dog supplements are manufactured will often be with freeze-dried ingredients, but it is always better to aim for safe rather than sorry. If possible, store probiotic supplements in the fridge, and don’t leave the container open for longer than necessary. Do your research before purchasing a probiotic supplement. Read through the ingredients, check customer reviews and be aware that not all products are the same. Some products will list several different strains of healthy bacteria, for example, taking pride in their product has more than one; but the truth is that more than one bacterial strain can be problematic. The reason for this is that some strains cancel each other out, so multiple strain products might actually be less effective than those that are made with only one strain (the most common strain is possibly Lactobacillus acidophilus). An interesting fact is that dosage is not too important when it comes to probiotic supplements, as probiotics are living organisms rather than a type of drug. Any instructions provided on and/or with the product should, however, be followed as closely as possible, and it is always recommendable to consult your veterinarian before making any significant changes to your dog’s nutritional intake. Keep in mind that you need to make sure you are feeding your fur baby a quality dog food, or that probiotic supplement might not have much effect. Quality dog food affects everything from energy level to digestion and overall well-being, so if you have taken the step to start adding a probiotic supplement to your furry family member’s diet – make sure the diet is up to pair with the supplement in terms of quality and nutritional content. Choose a product with a high protein content (real meat listed among the top three ingredients), no artificial additives, no pointless fillers such as corn and preferably without animal by-products, which is considered a low-quality protein source. Good dog food in combination with probiotics’ health supplements will give your dog the health boost he or she needs. When you shop for new and better dog food, you might as well choose one that contains ingredients that are rich in probiotics, or that has added probiotics, to save you the trouble of having to provide it separately. The product specifications will tell you whether the sensitive stomach friendly dog food item contains probiotics, but even if it does – it is always a good idea to provide a separate supplement as well, since – as mentioned above – live bacteria is incredibly sensitive, and there are no guarantees for the dog food to be containing enough for your dog.